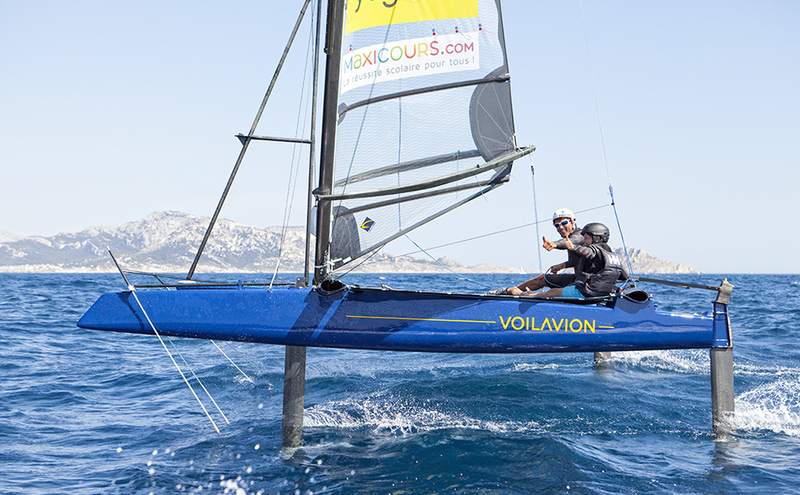 Voilavion is a new foiling catamaran that is performant but incredibly stable and easy to handle. An idea of foiling catamaran with a tilting mast came from windsurfing where at high speed surfers tend to lean the sail against the wind enabling it to operate as an airplane wing and have the board take off. Voilavion is not only about performance and stability but also about fine lines and exceptional design, the best compromise between speed, navigation comfort and pleasure.